I do not always see ghosts, but I sense and feel them, hear them and sometimes even smell them. When we physically die, our souls leave our bodies, and most of the time we move on to the other side. Once in a while a soul will choose, for one reason or another, not to go to the other side. It will choose to stay here on earth, becoming an earthbound spirit or ghost. Our souls are made up of energy. 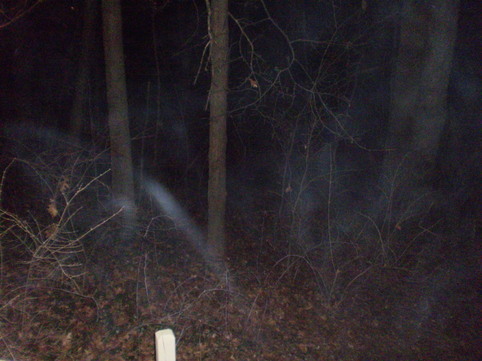 A ghost may have the appearance of our physical body only transparent like a watercolor. Souls can also appear as a streak of light or a ripple of energy, much like a heat mirage. When a soul appears it may also have on clothing similar to that which it wore in life. There are many reasons why ghosts choose not to go to the other side. We are in death as we are in life and ghosts are as varied in their personalities as are the living. The souls that stay behind are a small number compared to those who cross over and move on. The notion that ghosts are harmful and evil is not based in reality. The majority of ghosts are simply unhappy, restless, lost and harmless. Remember when dealing with ghosts that you are the one with a body, you are the one with power. Treat them kindly and help them on their way. Why do Ghosts hang around ? They are afraid to face their creator because of things they did in their life. They fear they will not go to heaven so they fear crossing over. There is someone that has died before them that they do not want to see on the other side. They are afraid of letting go of their earthbound identity. They don't know that they are dead. They may have had a sudden or violent death. Some believe there is no life after death, so when their soul leaves their body they don't know where to go. They feel a strong pull of a loved one from this side, so they stay, thinking they are helping them in the grieving process. They stay to protect a loved one. If they die from addiction they may hang around looking for another body to inhabit so they can continue their drug of choice. They don't feel worthy of going to the other side. How can you tell if you have a Ghost ? You can bet if you have one ghost in a house there is a good chance there are more. Most ghosts will look for a house that already has earthbound spirits in it so they do not feel alone. However, they will not necessarily hang out with each other. There are times a house only has one ghost and most of the time that ghost wants to be left alone.